I shared these on all of the usual social media sites this weekend, but in case you missed them, I had the privilege of writing two stories for The Dallas Morning News which appeared in Sunday’s paper. 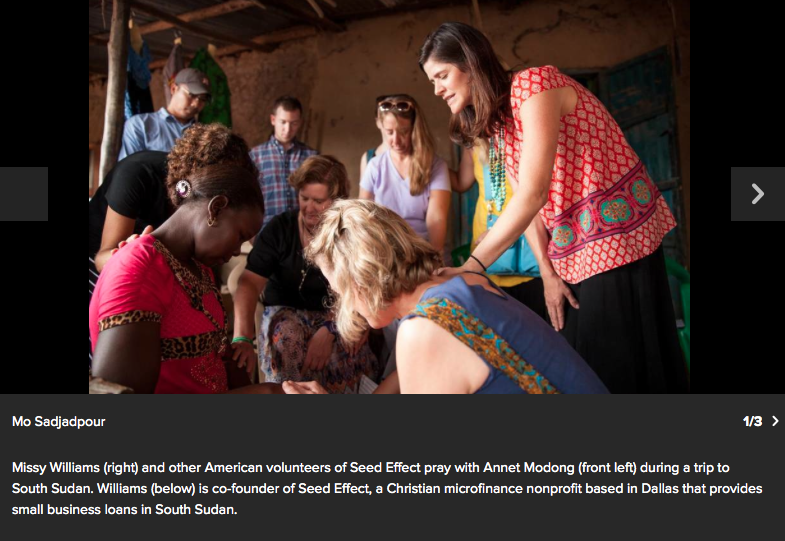 The first was this profile of Missy Williams, cofounder of Seed Effect, the organization I traveled to South Sudan with last August (which, if you read this blog, you haven’t heard enough about lately!). Missy went from being an interior designer to cofounding this remarkable microfinance organization with her husband. I recommend Seed Effect to anyone looking for a charity in which to invest. 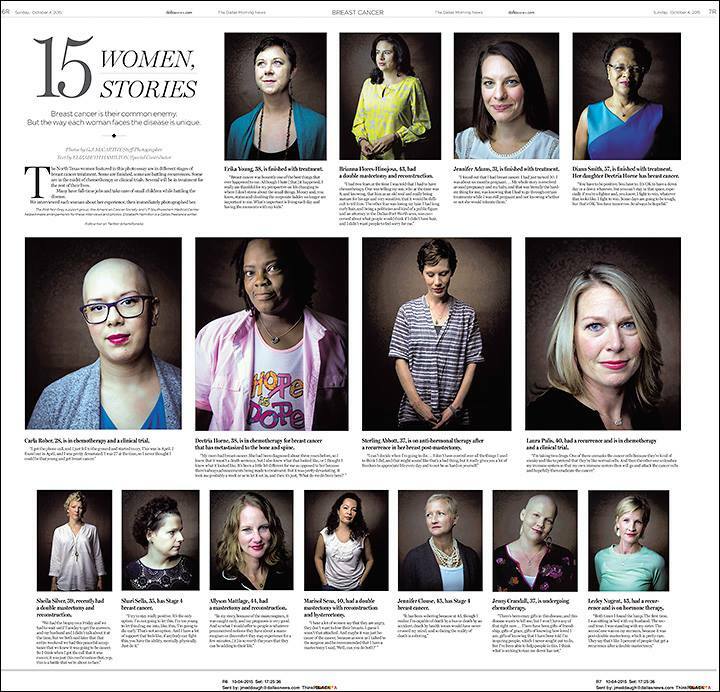 The second is this photo essay of 15 women facing breast cancer, which I worked on with one of The Dallas Morning News photographers. This is one of the more powerful stories I’ve worked on. I interviewed 12 of these women back-to-back, and hearing about their illness, how it’s affected their lives, how they’ve found peace and strength in the hardest of times, it was nothing short of remarkable. Hoping you enjoy these stories and have a happy start to your week! You are currently reading Over the weekend at elizabeth hamilton.